Main & Berkley will be removed as a timepoint. This is only a timekeeping change, Route 6 will continue to provide service to the stop at Main & Berkley. 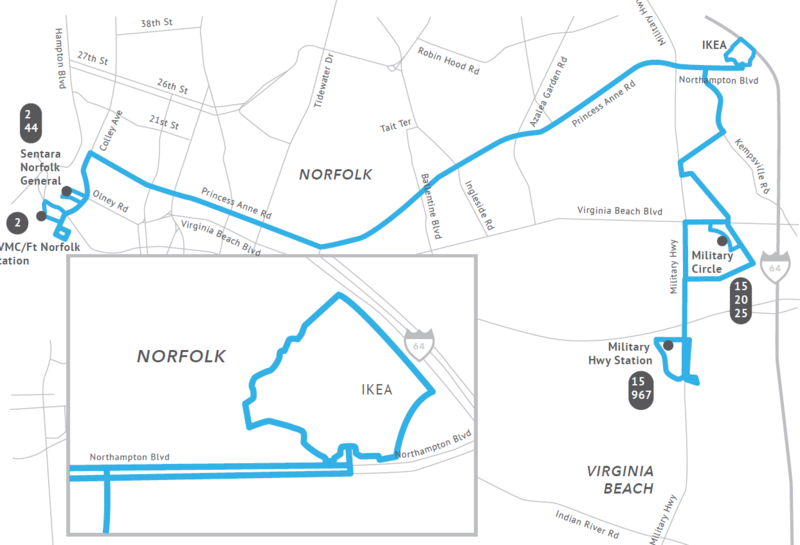 Route 23 will be extended to provide service to IKEA. The timepoint at Princess Anne & Salter will be moved to Princess Anne & Maltby. 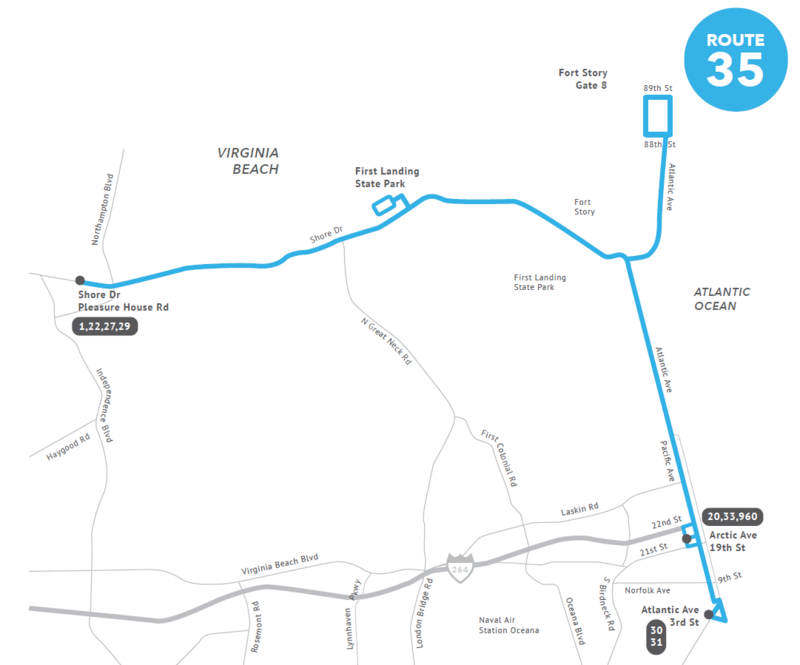 This is only timekeeping change, Route 23 will continue to provide service to the stop at Princess Anne & Salter. Additional service will be provided after Labor Day. After Labor Day, service will run on Friday, Saturday, and Sunday through Neptune Festival 2019 (September 29, 2019). Minor schedule adjustments to improve adherence. Route will be extended to provide service to Gate 8 of Fort Story. The timepoint at Hampton Ave & Wickham will be removed. This is only a timekeeping change, the Route 105 will still provide service to Hampton Ave & Wickham. The 5:20 AM Monday through Friday trip from the Fishing Point transfer location will now travel via Thimble Shoals to Jefferson instead of Thimble Shoals to J Clyde Morris. Minor schedule adjustments to the 4:55 AM trip from the Downtown Norfolk Transit Center to improve adherence. Starting Monday, April 22, 2019, the Route 117 stop, Mallory and Williams(2244), will not be serviced until further notice due to road construction along S. Mallory Street including replacement of existing concrete sidewalks at the bus stop. Passengers will need to board and alight at County & Mallory(2249).